Delivered ? 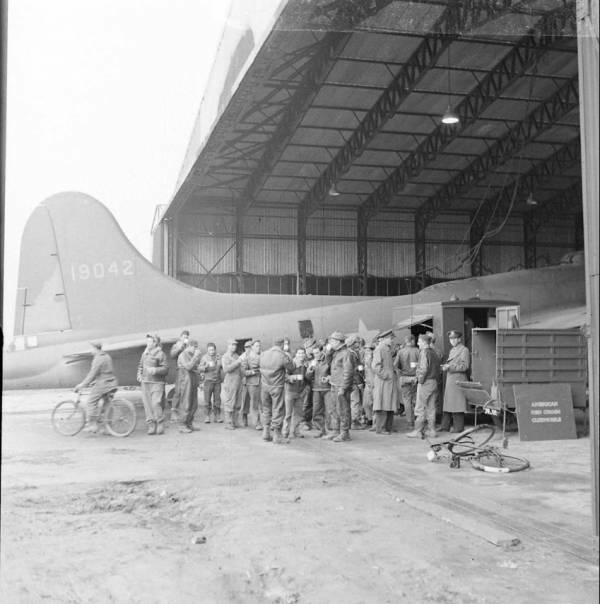 ; Assigned 342BS/97BG Polebrook 3/42 as THE BERLIN SLEEPER; with Lt George D.Burgess took part in 1st 8AF mission 17/8/42; transferred 325BS/92BG [NV-T/B] Bovingdon 9/42; force landed Hendon with Alan Hermance 16/10/42 Missing Air Crew Report 190; transferred 359BS/303BG [BN-V] Molesworth as RIDGE RUNNER; landing accident Alconbury with K.M. Bowen 10/2/43; Honington RG 22/4/43; 403 AD RG Langford Lodge 6/5/43; AFSC 26/7/43; Written off 20/5/45. THE BERLIN SLEEPER.